This 13th installment is the 2nd-to-last post of the photo series. Berlin, Germany – 24 December 2010. 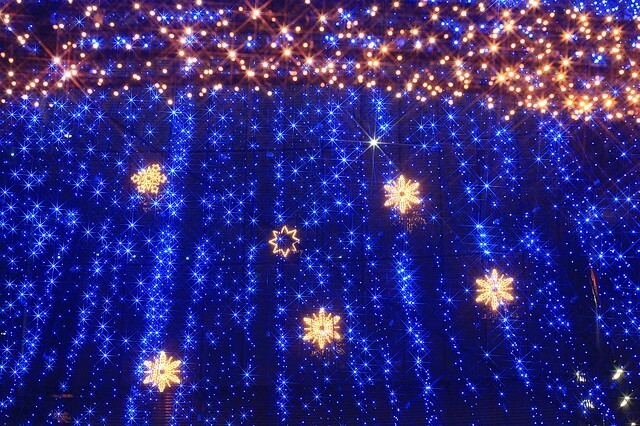 Typically, I’d come to watch people in this place, the Sony Center. Would it be time for a quick coffee, before heading into Cinestar for a movie in English? If I stopped by at night and looked up, would I see the roof bathed in colour? Or would it be a way to spend time in the Legoland Discovery Centre, and think about whimsy and youth? Well after dark on a cold blustery snowy Christmas Eve, I came for the sparkle, and treated myself to the sight of a light-tree. 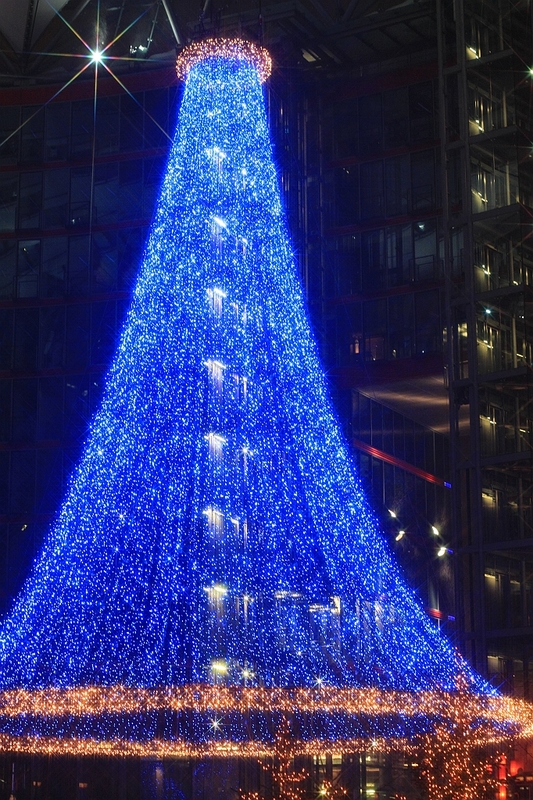 Light-tree at Sony Center, Potsdamer Platz. Tree lights in different focus: Sony Center, Potsdamer Platz. There is a distinct danger of seeing one Christmas market, and seeing the one and the same at every other market in every other city or town in Germany. 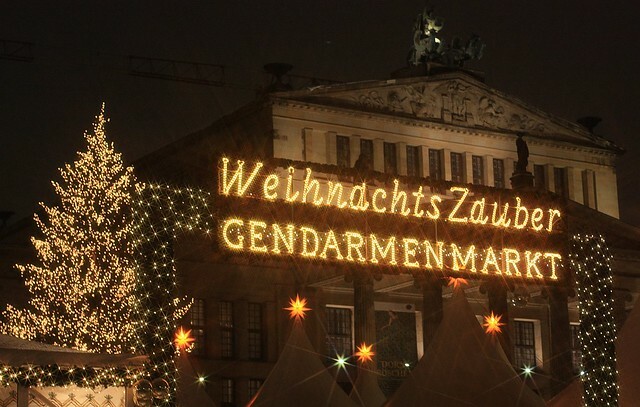 However, in Berlin’s Mitte, the Weihnachtszauber Gendarmenmarkt, or Christmas Magic at Gendarmenmarkt charges a modest entrance fee, where most other markets are free. The suggestion is something a little more, a little extra that simply cannot be found or matched anywhere else. 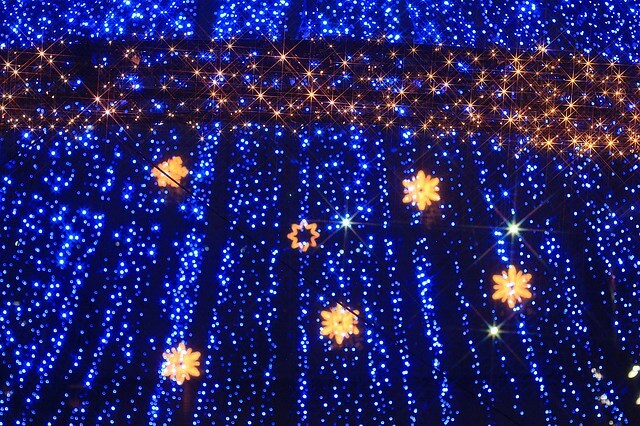 Unfortunately, that promise would be left empty so late on Christmas Eve : all I had left were the lights. But as you’ve seen throughout this “Christmas in July” series, I do like the lights, and I can make do with something about the lights. 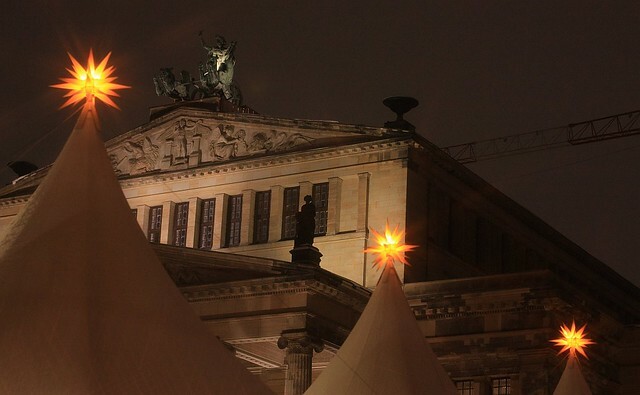 The lights of Weihnachtszauber : Gendarmenmarkt, Berlin. I made the five photos shown above in Berlin on Christmas Eve 2010. This article was posted initially on Fotoeins Fotopress (fotoeins.com).